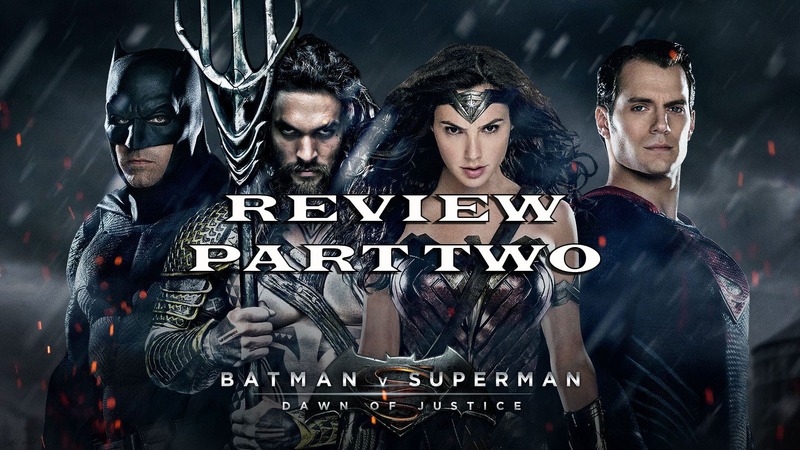 I put up this part two of my review of Batman v Superman: Dawn of Justice on April 5, 2016 (oddly enough that’s my daughters birthday). I was a little more calmed down and went and saw the movie with my kids and got their reaction. So there are 4 positive reviews for you from a group of kids that loved it. So I feel like both the nightmare scene, with the Flash cameo and the cameo’s of Aquaman, Flash, and Cyborg would have worked way better as mid and / or after credits scenes. In the movie they feel very out of place and disconnected from the movie. Put them at the end and it makes it so much better. Also, I got this idea from the Dynamic Duel Podcast review I listened to today. Go check it out here. But they make a great point. Move these scenes to the end and they become amazing teasers for Justice League and are no longer middle of the movie pieces that are neat, but don’t fit at all. All in all after I’ve seen it twice, I did really enjoy it. (I think I wanted to enjoy it. The Ultimate Edition is better, but there still so much I dislike about this movie) I think the DC movies are so easy to tear apart because the characters are not only iconic but they are over 75 years old. The trinity has been in publication since the late 1930’s with stories and characteristics that have evolved over the last 8 decades. Think about it, all those characters have huge gaps in their publication and drastic changes to literally who they are and what they are. there has never been a stop in publication for Superman, Batman or Wonder Woman. This, I think, makes them so hard to translate. Everyone has a different view on what these characters should be. I’m not saying I agree with the dark and gritty take BvS took, because I think they are a little too dark. However, after much talk and consideration I did enjoy the movie and am really looking forward to the next one. Could this have been better? Absolutely. I think this movie will get better with Justice League just like Man of Steel got better with this movie. (oh man, that’s a whole different topic that I may write up some day. Honestly, I think this post was just my way to make a post about this movie that wasn’t horrid because I want the DC movies to be good. I’ve never gone back and re-watched this movie, and honestly I don’t want to. There is so much I don’t like about this movie that the few redeeming qualities in it are just nor worth it to me. I think the actors in their roles are great (sans Lex) but it’s either a director problem, or a studio interference problem. I hope Warner Bros. and DC can do better.